Financial Consulting for Today's Financial Matters! This section is dedicated to online topics and discussions (journalism) for general public consumption. An examination between groups regarding their ability to use technology effectively. 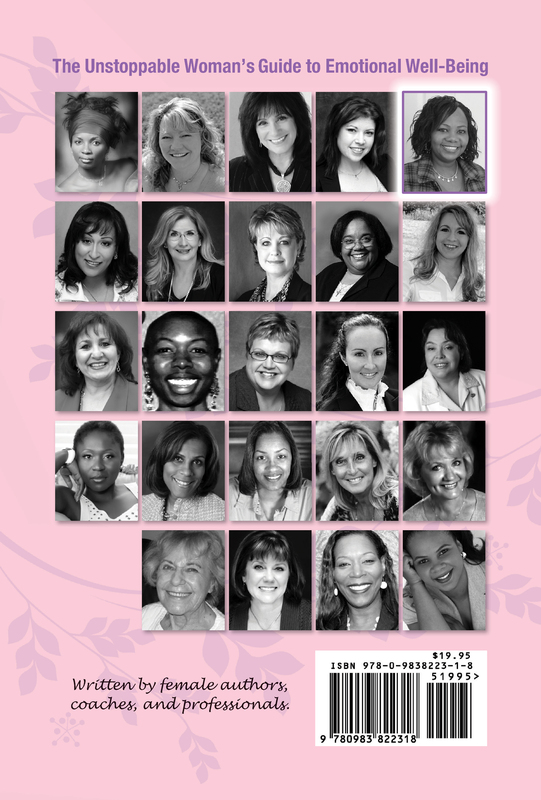 The ground breaking, empowering book written by 24 female authors, coaches, and professional women share how you can be an unstoppable woman while maintaining emotional wellness. This book is an international delight! With authors from Hong Kong, South Africa, and the United States, you will surely find this to be a remarkably diverse set of ideals that will act as a springboard to your unavoidable happy destination. Cynthia Fitch is a seasoned Accounting Professional with over 17 year experience in the Accounting and Auditing Industry, focusing on Financial Auditing, Internal Audit, and Compliance Auditing for several notable CPA firms including the former Big 6 Firm , Arthur Andersen. She has also dedicated a considerable portion of her career in Accounting, and Financial Management, for several major corporations, as well as the non-for-profit sector. She is also a former instructor for Sawyer College (IN), where she taught Principles of Accounting and Business Math. She is currently the Finance Director for Gareda, LLC, one of the premier multimillion dollar Home Care Agencies in the State of Illinois. She is also the President of S.C. Fitch Enterprises, Inc. which provides financial and operational consulting to small to mid-size businesses and audit assistance to CPA firms. The company also owns and operates Amateur Sports News Network, an online media magazine which covers youth athletics in the Chicagoland area. You will often find Cynthia or husband Steve, on the field or courtside covering our youth athletes in action. Our mission is to cover the many untold stories about our young athletes including highlighting our Athletic Academians. Mrs. Fitch is a registered CPA in the State of Illinois and has obtained her Real Estate License. She is an active member of National Association of Black Accountants (NABA) and Illinois CPA Society. She also serves as a Commissioner on the Village of Matteson, IL Parks and Recreation Commission. 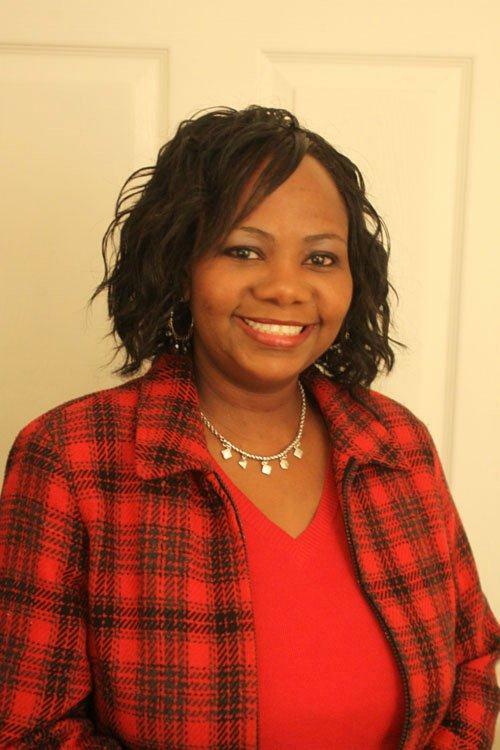 Cynthia is an honors' graduate from Chicago State University with a Bachelor of Science degree in Accounting and has attained many awards and certifications over the years including Who’s Who, Financial Executives Institute Award, and SPAA- Author of the Month . In her spare time, she enjoys cooking, traveling, dancing (stepping, line dancing, house, salsa, etc. ), listening to live bands, relaxing at the beach, or mentoring our teens. 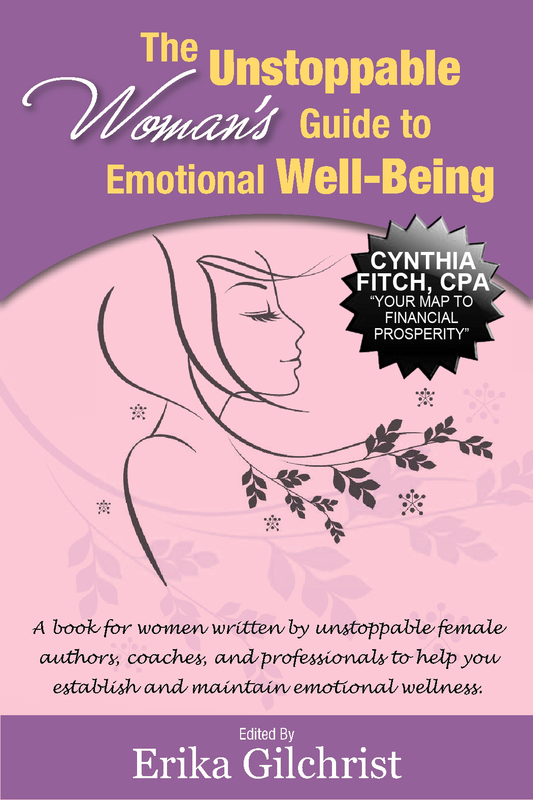 Cynthia (aka “The Financial Photographer”) has recently co-authored the “Unstoppable Woman’s Guide to Emotional Well-Being”(Released January 2012),contributing the financial chapter entitled “Your Map to Financial Prosperity”. She will be participating in several financial workshops for teens in 2013 as she feels it’s extremely important that we get our youth money savvy as soon as possible and definitely before they leave high school. Financially responsible youth can lead to a better tomorrow for us ALL! * Co-Author of the "Unstoppable Woman's Guide to Emotional Well-Being". * Speaker for the “It’s All About You”, Health & Wealth Seminar. The ground breaking, empowering book for women written by 24 unstoppable female authors, coaches, and professional women who share how you can be an unstoppable woman while maintaining emotion wellness. This book is an international delight! With authors from Hong Kong, South Africa, and the United States, you will surely find this to be a remarkably diverse set of ideals that will act as a springboard to your unavoidable happy destination. Cynthia Fitch,CPA also know as "The Financial Photographer." In this chapter you will learn basic tips to manage your finances and learn why it's important to get a Financial Snapshot. Order your copy TODAY for Only $19.95 + S/H. Copyright © 2008-present. All rights reserved. All trademarks mentioned in this web site are the property of their respective owners.